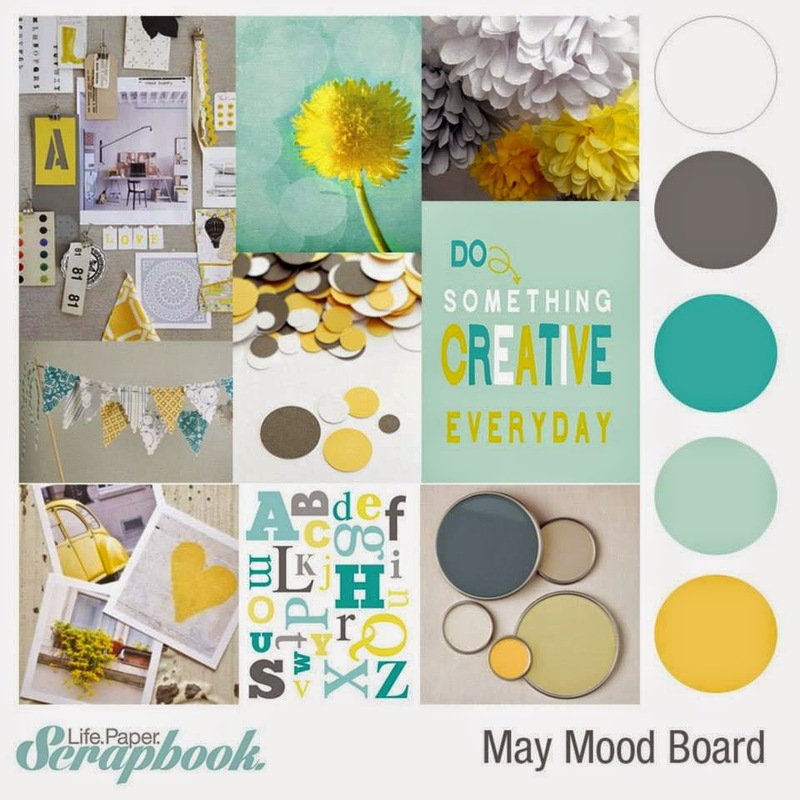 We have a new mood board challenge for you at Life.Paper.Scrapbook. today! This one is sponsored by Polly Scrap Kits. For my layout I went for a picture of my nephew Jan, who is the cutest ever with such a cheeky smile on his face. 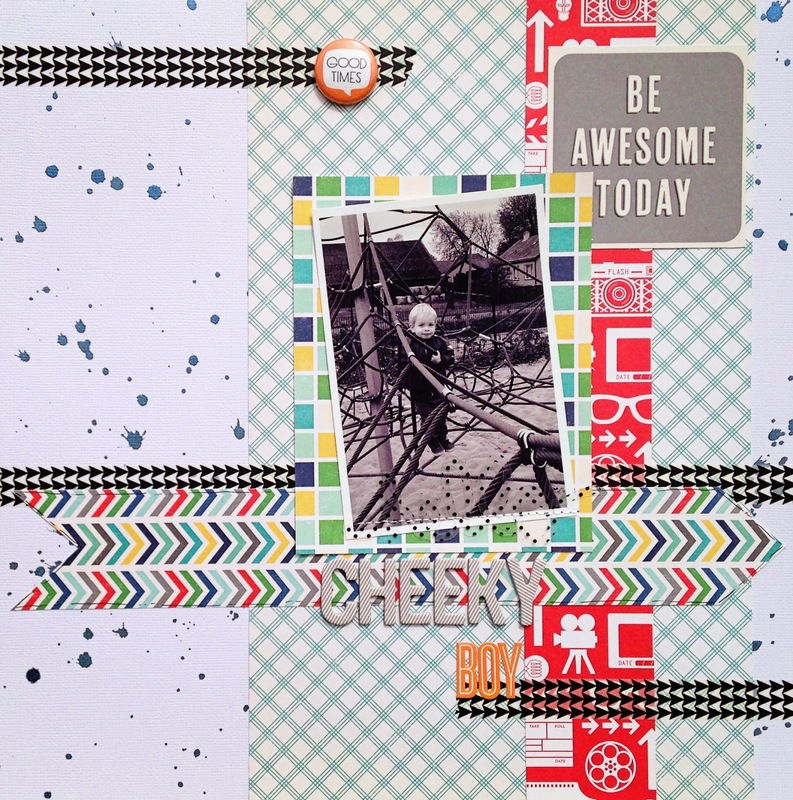 I used the October Afternoon Daily Flash Snapshots and All Boy collections. I hope you feel inspired by this mood board too. 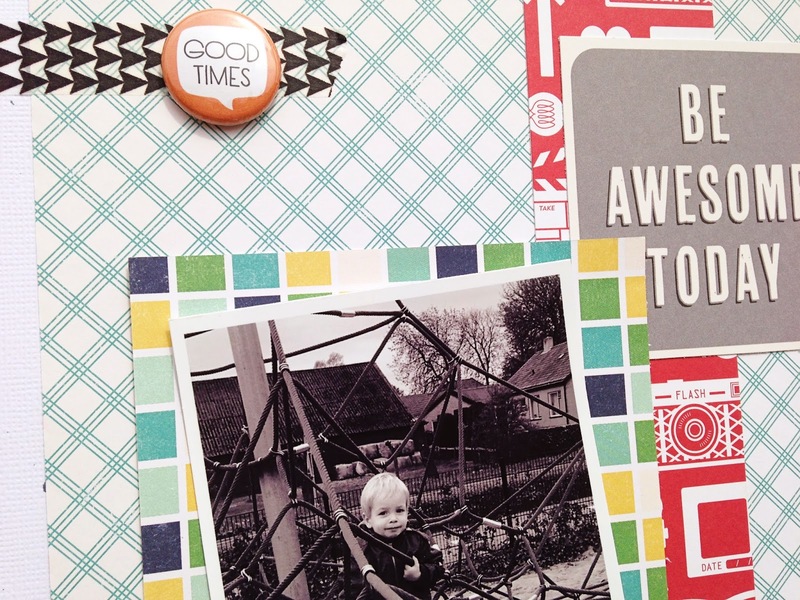 Be sure to link up your projects over at Life.Paper.Scrapbook. 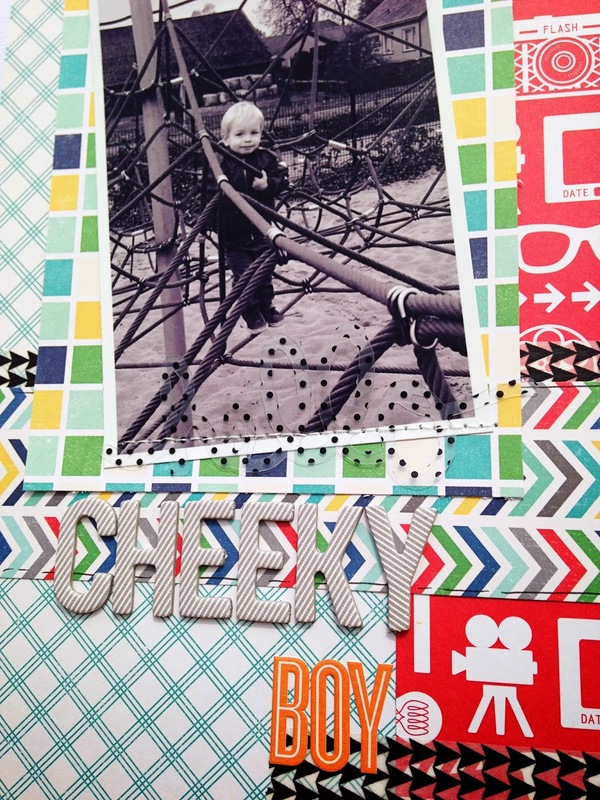 for your chance to win a prize pack worth over $30, provided by Polly Scrap Kits! This is gorgeous! LOVING the colors and the splatters!!!!!!! Love how you mixed color with the industrial feel of your layout! Awesome!